Metallica are sharing footage of their 1983 classic, “Metal Militia”, as performed at The Fonda Theatre in Los Angeles, CA on December 15. Proceeds from the band’s 15-song set at the intimate venue were donated to the Los Angeles Regional Food Bank, with fans encouraged to bring a donation of a canned good or other non-perishable food items to assist with local efforts to feed those in need. The Los Angeles charity event was followed by the group’s final 2016 live show at the Fox Theater in Oakland, CA on December 17. 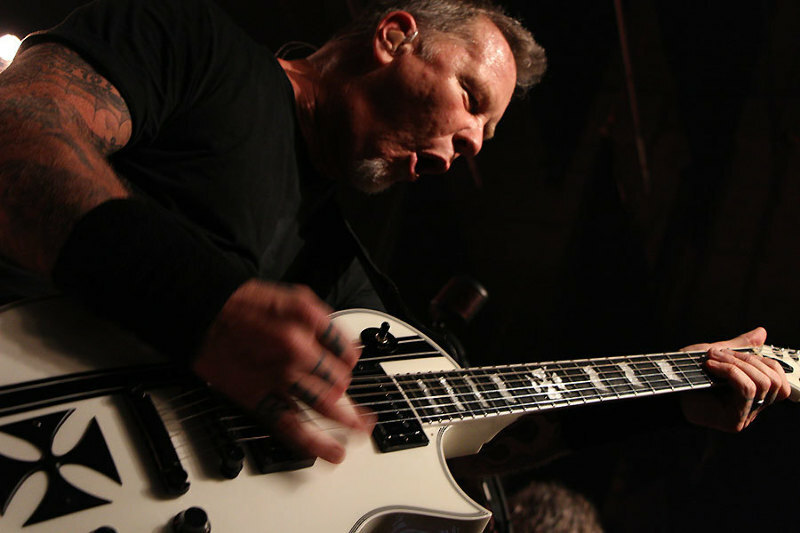 Metallica will resume their world tour in support of “Hardwired…To Self Destruct” next month with shows in South Korea, China, Hong Kong and Singapore. The group’s tenth album recently debuted at No. 1 on the US Billboard 200 with opening week sales of 291,000 equivalent album units, of which 282,000 were in traditional album sales.